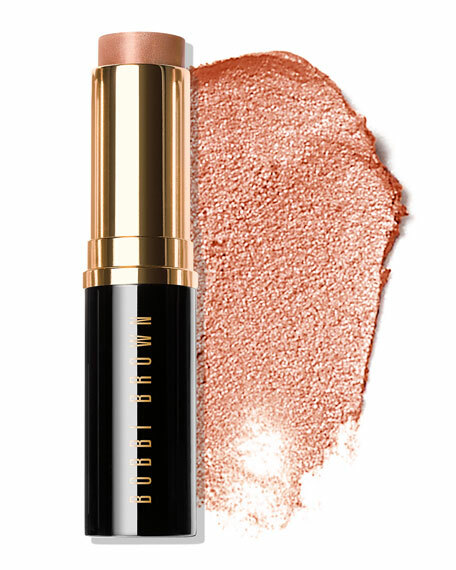 What is it: Like sunshine in a stickthis creamy, lightweight highlighter glides on skin to deliver an instant, sun-kissed glow that lasts all day. Available in 8 shades in shimmer, soft shimmer and flat finishes. Why is it different: The ultimate no-mirror highlighter, this sheer, emollient-rich formula goes on easy and blends seamlessly for natural, healthy-looking color. Just throw it on, blend and glow. How to use it: Swipe on cheekbones, nose, forehead and chinanywhere sun naturally hits the faceand use fingers to blend. For in-store inquiries, use sku #2246767.